John Forrest was a progressive and innovative farmer, who was involved with several agricultural organisations in Suffolk and Norfolk, including The Morley Agricultural Foundation, Otley College, the Suffolk Agricultural Association, and at the time of his death he was chairman of the Felix Thornley Cobbold Agricultural Trust (FTCAT). 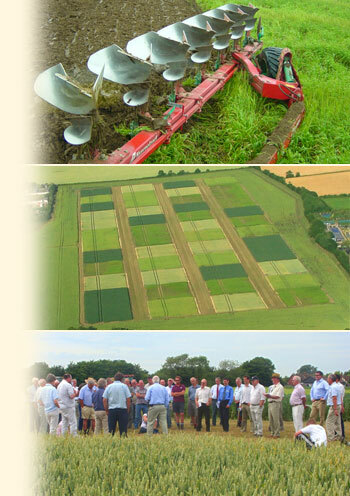 After his sudden and unexpected death in April 2008 his family and friends decided to establish the John Forrest Memorial Award to further his particular interests in encouraging better communication between scientists and farmers, and developing personal skills in young people. The annual Award is managed by the Felix Cobbold Trust, and funded jointly with The Morley Agricultural Foundation (TMAF). Currently, the Award takes the form of a free residential communications training course, held over three days, at Madingly Hall near Cambridge, and is provided by Green Shoots Productions, specialists in media and communication training. The Award is offered to eight agriculturists, including scientists and farmers, for whom clear communication skills are expected to be integral to their careers. Applications are invited during September, which the committee will consider during October, with their selection being notified in November, after which successful applicants will be contacted by Green Shoots with full details and joining instructions. To apply, please send your full contact details to office@felixcobboldtrust.org.uk with a personal statement of your link with East Anglia, education, career, current position, and say why you want to attend the course, how you will use the training, how it will benefit farming in East Anglia and what difference it will make to your future.